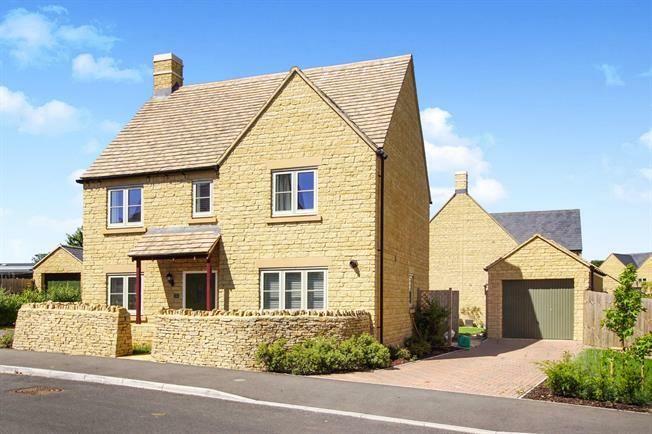 4 Bedroom Detached House For Sale in Tetbury for Guide Price £490,000. Very well presented modern detached family home that benefits from driveway parking to the side which leads to a single garage. The gardens are mainly located to the rear of the property which is private and enclosed by panelled fencing. The spacious accommodation comprises: entrance hall, fitted kitchen/dining room with built-in appliances and patio doors onto the rear garden, separate with patio doors onto the rear garden, study, cloakroom/utility room. To the first floor there are 4 bedrooms (master has en-suite shower room) and separate family bathroom.